Metrolinx will be conducting a vibration test to see if the tracks should be padded to reduce rumbling in the neighbourhood. 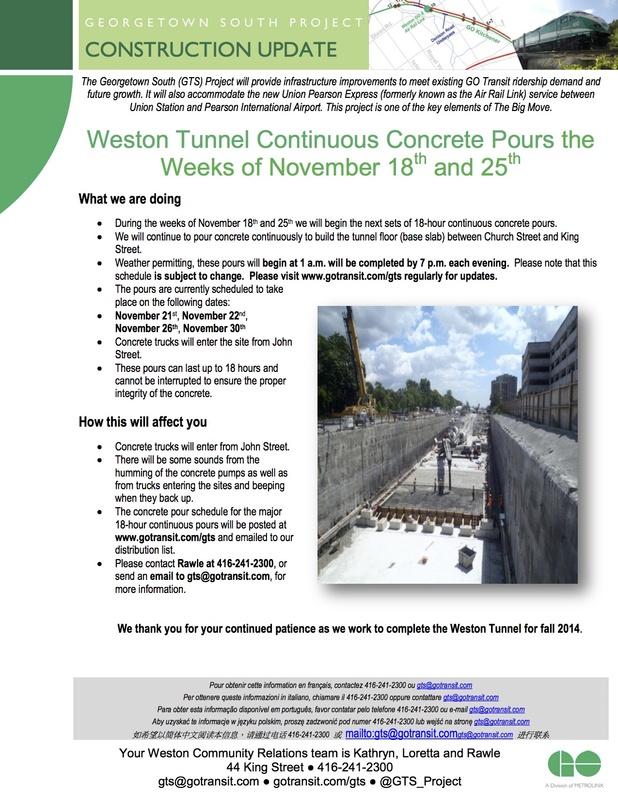 Seven tests of about five minutes each will be performed over the next week in three locations around Weston. Mount Dennis will be getting “ballast mats”—rubbery mats that line the track bed to absorb some of the rumbling. Perhaps if I can get than nincompoop who parks outside my house with his stereo on to head down to Church Street at the right time next week, we’ll get ballast mats too.